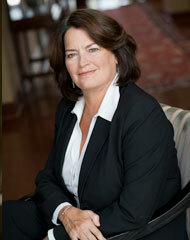 Ms. Potember joined Greenberg Gibbons in 2003 and serves as the company’s Senior Vice President/ Director of Development. She manages all development efforts for the company’s portfolio of properties, which includes the facilitation of contracts, permits, budgets, plans, schedules and more between pre-conceptualization through to operating property. Prior to joining Greenberg Gibbons, she worked for 19 years at The Rouse Company where she was a Development Director and oversaw the redevelopment and expansion of several shopping malls, including Paramus Park in Paramus, NJ, Plymouth Meeting Mall in Plymouth Meeting, PA, Moorestown Mall in Moorestown, NJ, Oakwood Mall in Gretna, LA and Burlington Center in Burlington, NJ. Ms. Potember holds a Bachelor of Arts Degree in Human Development/Administrative Science from Colby College in Waterville, ME, and a Masters in Business Administration from Loyola University Maryland in Baltimore. She is a member of the International Council of Shopping Centers. The team that Greenberg Gibbons has assembled is extremely talented and professional. They have shown a very high degree of expertise while managing tremendously complicated development projects like Hunt Valley Towne Centre, The Village at Waugh Chapel in Gambrills, and Annapolis Towne Centre at Parole. We expect great success from Greenberg Gibbons for many years to come and hope to continue to be a part of their family.